Fiona Wills Accountancy Services Ltd administer the accounts of a number of business and personal clients in Thornton Cleveleys and the surrounding area. If you're looking for an approachable accountant who prides themselves on a personal service and who will take a genuine interest in the success of your business, give Fiona Wills Accountancy Services Ltd a call. I am an ACCA qualified chartered accountant with a personal and flexible approach to my accountancy practice, including a Mobile Accountant service in Thornton Cleveleys and throughout much of Lancashire. To read more, please take a look at the About Me page. A number of Testimonials are available on-line. If you would like specific references from the Thornton Cleveleys area, please ask. 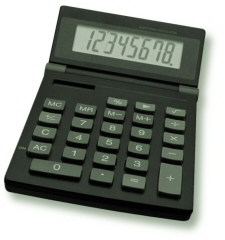 Fiona Wills Accountancy Services Ltd offer Mobile Accountant services to companies, individuals and organisations in Anchorsholme, Bispham, Carleton, Little Thornton, Norcross, Rossall, Stanah, Thornton Cleveleys, Trunnah and more!